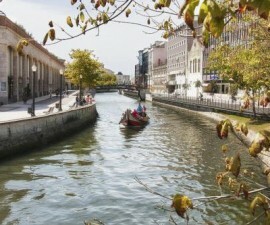 Many visitors to Aveiro will arrive from the historical city of Porto and it is well worth taking the time to explore Portugal’s second city on your way in or out, or indeed by taking a day trip from Aveiro. 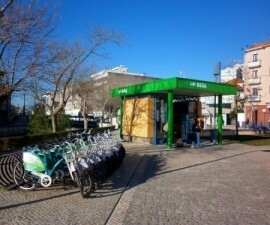 The journey from Aveiro to Porto takes around an hour and is easily made by car, bus or train. Porto is the second-largest city in Portugal and is at the forefront of the country’s cultural, historical and touristic agenda. It dates back to the fourth century, during the late Roman occupation of the Iberian Peninsula, and there are a number of Celtic and Proto-Celtic ruins also in evidence in the area, pointing to a long and varied heritage. Porto is well known all over the world for its history, culture and architecture and has been designated by UNESCO as a World Heritage Site in order to recognise the importance of, and protect, its rich heritage. The UNESCO area stretches right from the impressive Central Avenue, or Avenida dos Aliados, to the riverfront, and is flanked on both sides by the most opulent buildings imaginable, such as the Sao Francisco Church and the Santa Clara Church, as well as the Palacio da Bolsa, with its decoration so reminiscent of the Alhambra, in Granada, Spain, and the Sao Bento Station’s beautifully tiled walls — which has actually been considered to be one of the most beautiful train stations in the world by Travel+Leisure. Begin your trip to Porto at the Sao Francisco Church to admire the ornate baroque exterior and its catacombs, which are full of artefacts that date back to the days as a monastery. While it is no longer used as a monastery or indeed for any religious use, the Sao Francisco Church certainly has not been left to ruin, as it has been fully restored and is now one of the city’s leading classical music venues. The Torre dos Clerigos is the next stop on your day of discovery in Porto. 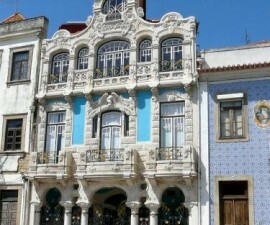 This is one of the most famous structures in Porto, and indeed in the entire country. Designed by Italian architect Nasoni, it is very much in keeping with his popular baroque style for which he was famed during his heyday. Take the time to climb the Torre dos Clerigos to admire the beautiful views out over the city. There are several more ecclesiastic buildings which are worth taking in during your visit. 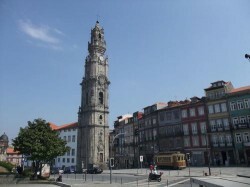 The Se do Porto, or Porto Cathedral, is an imposing building mostly in Romanesque style, though it has undergone a number of renovations and embellishments over the centuries since it was first built. Porto Cathedral is one of the most extravagant and eye-catching monuments you will see on your trip to Porto. Museum lovers will delight in the Soares dos Reis National Museum, which showcases many artworks and artefacts from the monasteries and convents that have graced the city over the centuries, along with other non-religious paintings and jewellery which are of interest in their own right. 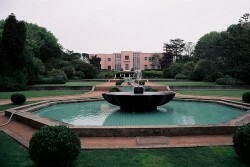 If you would prefer a more modern alternative to the Soares dos Reis National Museum, head for the Museu de Serralves. The Museu de Serralves is a world-class museum of modern art which has featured exhibitions by some of the leading artists of the 20th and 21st centuries. 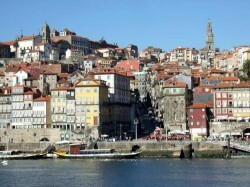 Porto’s medieval quarter, or Ribeira, just begs to be explored during your time here. The narrow streets of the Ribeira are bursting with quirky cafes, elegant boutiques and colourful houses, all set off to perfection against the backdrop of the river which cuts through the city and the boats quietly bobbing on the waters. If you are lucky enough to be extending your trip to Porto until late, this is the place to return to enjoy the bars and restaurants which come alive in the early evening and remain open until the long hours. Shopping is a favourite pastime in Porto. Whatever you are looking for, you are sure to find it here, from high-end boutiques and high-street names to quirky gift shops and stalls selling handicrafts and jewellery. For plenty of choice, head to the Shopping Cidade do Porto complex, where you will find much of what you need all conveniently under one roof. Shopping Cidade do Porto is great but don’t miss the chance to explore the downtown district however. The downtown district is where you will find a wide selection of unusual gifts, accessories, artworks, antiques and clothes. If by now you have had your fill of city exploration, take some downtime in the Jardim Botanico, the beautiful landscaped gardens that occupy the former grounds of the Quinta do Campo Alegre estate. Jardim Botanico is home to a variety of exotic plant and animal species and is the perfect place to complete your visit from Aveiro to Porto.